AFSCO Fence & Deck wants to make sure you and yours are safe and sound when it comes to pool fencing. 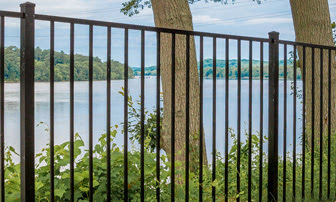 Create an enjoyable get-away with our options for pool fencing. We have multiple varieties and heights of our pool code ornamental fences that create a fashion forward look, without yielding safety.